I am currently teaching 3D Animation and Video Design to Middle School students at Roosevelt Middle School in Glendale, California. My goal is to provide all students a rigorous program for the study of 3D animation, 3D Modeling, 3D Printing, Video Game design and programming and computer programming. 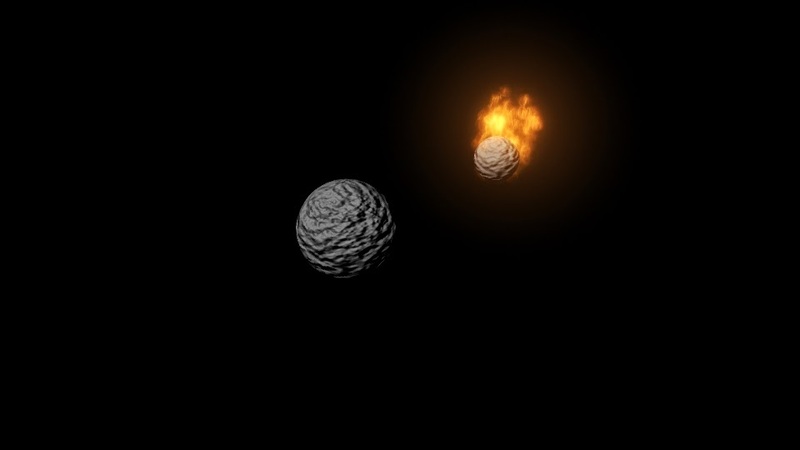 We use Autodesk Maya, Stingray, Mudbox, and the Unity3D video game engine. This will prepare for a successful career in Computer technology and development fields. My seventh-grade students will be working on spinning logos this next week to finish up our 10 weeks of school. They have done incredible work in their 3D models and also 3D animations, and have shown that students in middle school can be learning and mastering high-end computer packages. They are well on their way preparing themselves for the high thing exciting jobs in 3-D animation and modeling in soon video game programming and also computer science. 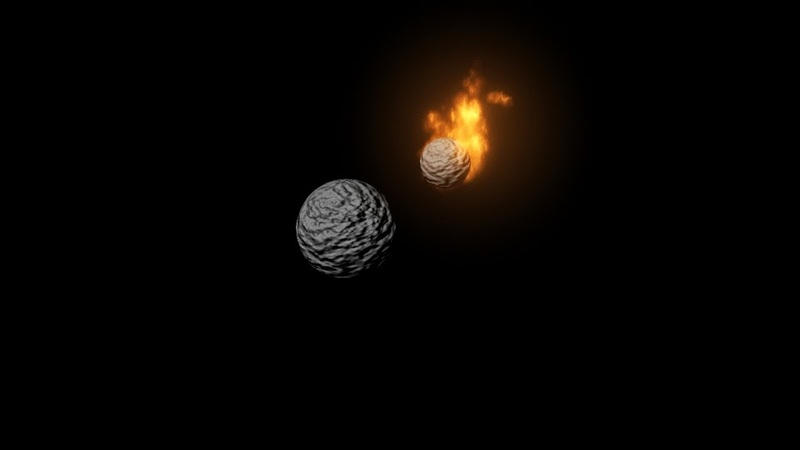 I I am starting to teach my students how do you program in C# using unity 3D video game design package. 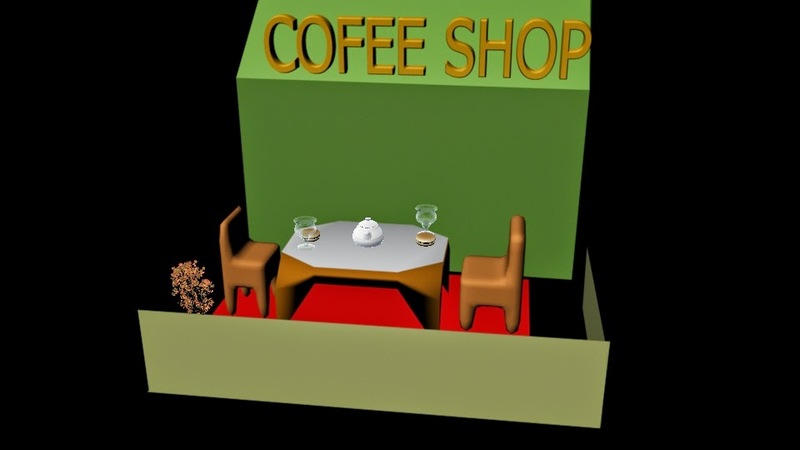 My students will be creating 3D objects in Autodesk Maya and then bringing them in to Unity3D. 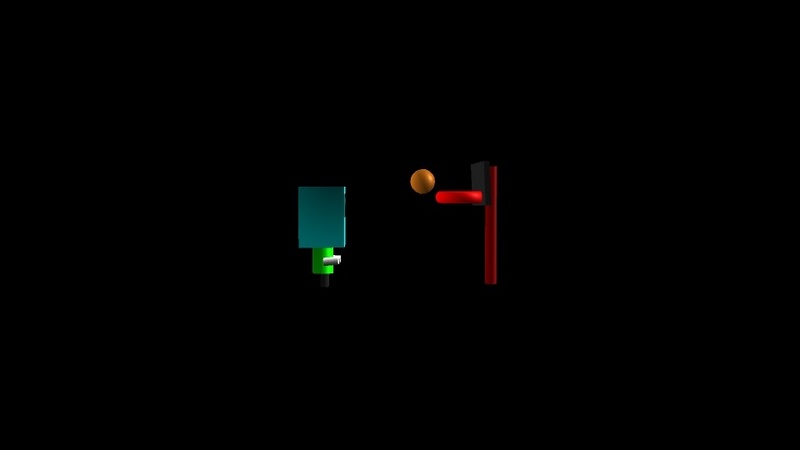 We will then on how to apply computer programming to make these objects move, rotate, scale them, and have them start to learn how to create a videogame. So I will be using the video game itself to motivate them to learn computer programming which of course they can use for many more applications other than video game design and creation. 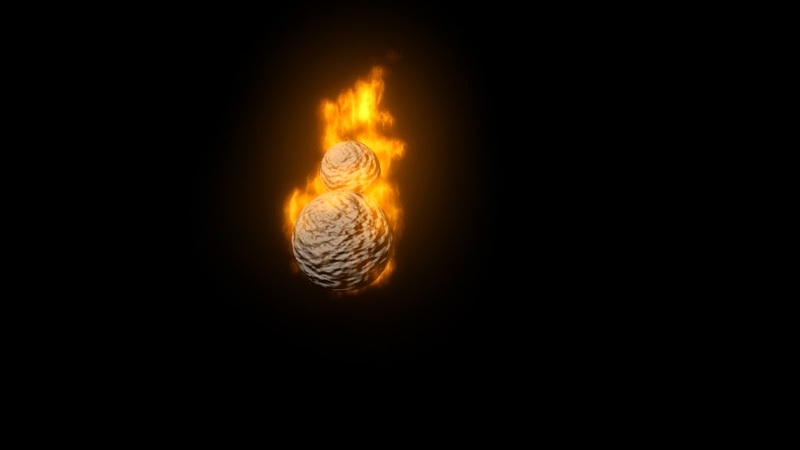 This took me only a couple hours to create using Autodesk Maya and bump maps, dynamics commands such as gravity at active rigid bodies, etc. 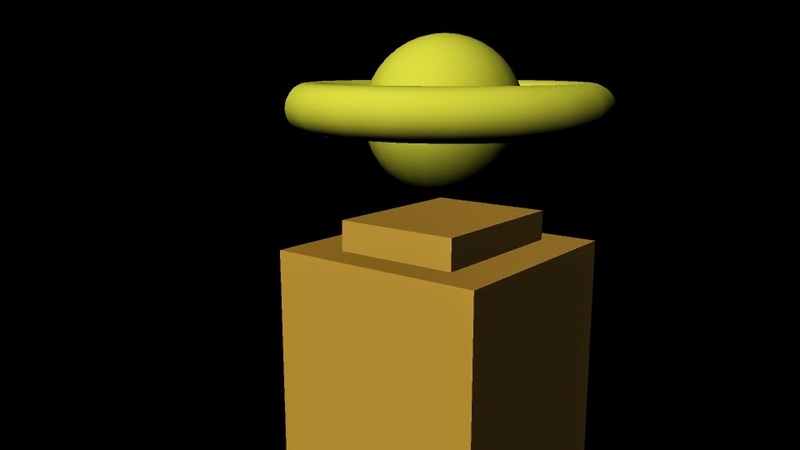 My seventh and eighth graders will be creating their own 3D animations following my Youtube online video lesson. Then they can do their own project using the commands that they just learned. This is a link to the animation and then another link to the actual video lesson on how to create it. This last week we wrote our first two lines of code using the Unity video game engine to make a cube rotate. I hope to really expand this over the rest of the semester, and through the full next semester in 2015. 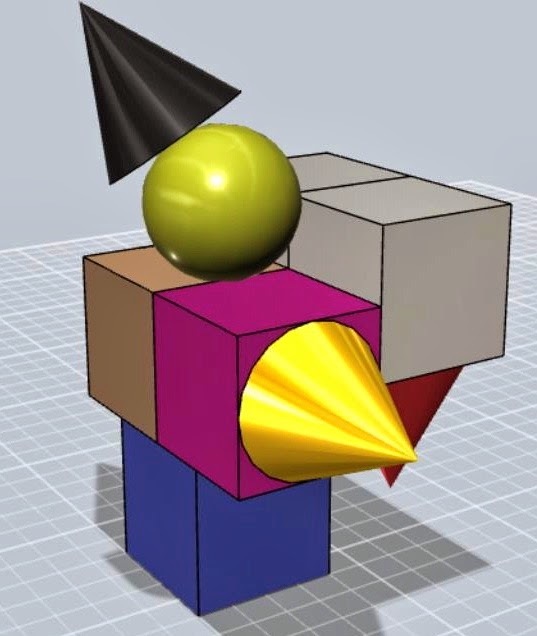 By having them build a 3-D model in Maya, and then bring it into Unity 3D program and then program the different features you want to apply to the model will be excellent way to teach my students computer programming. After some speculation, it's official: Microsoft has purchased voxel-based sandbox game Minecraft for $2.5 billion. Maybe that makes perfect sense to you and maybe it doesn't. This past weekend as we discussed the massive purchase, my mother asked my why on earth Microsoft would want to buy Minecraft for anything approaching that much money. My answer? That it might be better to think of it in terms of why a company might want to buy Barbie or Lego. They're monolithic brands; highly recognizable, widely available and beloved by huge swathes of customers, both young and old. There are already teenagers who look at Minecraft with nostalgia right alongside people experiencing it for the very first time. It's a cultural touchstone. Essentially, Microsoft expects to make more money from Minecraft than it would make if that $2.5 billion sat in the bank for a year and generated $25 million in interest. And yes, given the sales of the game — which just launched on Xbox One and PlayStation 4 — not to mention the merchandise licensing that Minecraft has seen to date, $25 million sounds like a very, very doable number. For more, be sure to read Good's full piece on Polygon, or go straight to the source andwatch the archive of Pachter's GamesBeat talk over on Twitch. Companies want to hire technically skilled MBAs, and business schools are finally starting to get it. MBA programs equip students with management techniques, accounting skills, and increasingly, entrepreneurship chops. Some top programs, however, believe MBA should learn to code. Harvard Business School is planning to offer a computer programming elective within a couple of years, says Paul Gompers, who chairs the MBA elective curriculum. Students have formed coding clubs, and dozens go “across the river” to take the introductory computer science class at Harvard University in Cambridge, Mass. But professors need to tailor a course specifically to business students in Boston, says Gompers. Elite MBA programs have been slow to adapt, even though plenty of schools started specialized master’s programs in big data and analytics. A pair of springtime reports by the Graduate Management Admission Council revealed a disconnect between the skills MBA programs give students and what employers want. While recent graduates (PDF) said they learned the least about “technology, design, etc.” and “managing tools and technology” out of any other skills in B-schools, U.S. employers said they coveted (PDF) “technical and quantitative skills” third out of 10 criteria. “We’ve got a lot of MBAs graduating and going off to be high-tech product managers. If you look at that world, there are a bunch of big tech companies that insist that anyone in that role be technical—understand code well enough to read it and write it,” says Thomas Eisenmann, an HBS professor who teaches a course on product management. Companies don’t want an army of programmers from B-schools—they can recruit from computer science programs for that—but they need managers who know the basics of code to work with technical staff. To be a product manager at Amazon(AMZN), for instance, MBAs need to “dive into data and be technically conversant,” says Miriam Park, director of university programs at the company. At New York University’s Stern School of Business, economics professor David Backus plans to start a course that will teach students how to visualize data and use the programming language, Python. “I’ve talked to people I know at other B-schools and they haven’t heard of anything really like this. It’s surprising,” he says. Stanford University’s Graduate School of Business, a B-school with a reputation as a tech powerhouse, has no coding classes. Students have been able to take computer science courses at the university since fall 2012; Madhav Rajan, the business school’s senior associate dean for academic affairs, says this obviates the need for a focus on coding. Last year, the B-school and the School of Engineering launched ajoint degree that confers an MBA and an MS in computer science. One downside of learning to code at B-school: Coding is hard. HBS students who took the university’s introductory computer science course said that they spent 16.3 hours a week on the course, which is “2-3 [times] more time than they would spend on an MBA elective that yielded equivalent academic credit,” wrote Eisenmann in a Harvard Business Review blog post last fall. Nearly 12 percent of Harvard College is enrolled in a single course, according to data released by the Faculty of Arts and Sciences Registrar’s Office on Wednesday. The course, Computer Science 50: “Introduction to Computer Science I,” attracted a record-breaking 818 undergraduates this semester, marking the largest number in the course’s 30-year history and the largest class offered at the College in the last five years, according to the Registrar’s website. Including non-College students, the enrollment number totals 875. We are still Using computers with only two gigs of RAM where is we should have at least four GB. But even with just two gigs my students are creating some amazing animations and models. We are only about four weeks in my class is creating some amazing models and now starting to do the same with their animations. I had to take 10 minutes to get them out of the classroom they were so engaged in the software program they were not paying attention to anything else. This is one of the first times I've ever seen this happen. I've been received the image above from one of those students on Friday of that week. He had downloaded the newest version of the Maya software so it took me a few times to get it in on my version. Here is the link to my online video lessons that they are using. Pixar Animation Studios has announced a "generational shift" in RenderMan, which will debut a new framework, the RenderMan Integrator System (RIS), in the latest version scheduled for release at SIGGRAPH. Pixar described RIS as a "modular rendering architecture" that optimizes lighting simulation and allows new rendering technology to be deployed as Disney develops it — such as the Principled BRDF shader, a physically based shading technique that will be included in the new RenderMan. Other features to be included in the forthcoming RenderMan release include an advanced Unidirectional Path Tracer and a Bidirectional Path Tracer with Progressive Photon Mapping (sometimes referred to as vertex connection and merging, or VCM), meaning RenderMan will offer the ability to switch rendering modes for different scenes in a single system, the company said. "For certain types of shots such as exteriors, the unidirectional path tracer excels," Pixar said in an FAQ detailing some of the additions. "However, while [it is] a common method of light transport, path tracing suffers limitations when rendering other types of scenes, such as dimly lit interiors and caustic effects. 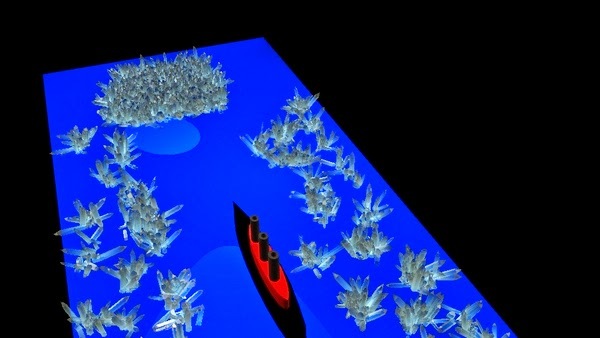 For cases like this, RenderMan provides another more advanced method of light transport called VCM, which is able to integrate bidirectional path tracing with photon techniques to produce results of higher quality than either method can alone. With RIS, you can choose the most appropriate method of light transport for any given scene." In addition, Pixar said that, with the next release, RenderMan licenses will be free for non-commercial use by students, institutions, researchers, developers, and other individuals. (Interested users can register in advance on the RenderMan website to receive a free license when the new version is released.) Pixar also dropped the price of the current version of RenderMan to $495 per license for commercial use, with customized "peak render" packages available. The new release will combine RenderMan Pro Server and RenderMan Studio in a single "flexible license," Pixar said, suggesting those licenses will be easily scalable to fit different stages of production. In a prepared statement, MPC's global head of lighting, David Hirst, offered a testimonial to the capabilities of the new version of RenderMan. "We … were completely blown away by the speed and how interactively we could preview and render these assets," he said. "The RIS based integrator is going to change the way we work with more scalable rendering and faster results." SAN FRANCISCO--(BUSINESS WIRE)--Autodesk, Inc. (NASDAQ:ADSK), a leader in 3D design, engineering, and entertainment software, today announced that it will offer schools in the United States and Canada free access to its professional 3D design software and creativity applications. This represents the next step in the continued transformation of Autodesk’s education business model in order to fulfill its mission of helping students and educators imagine, design and create a better world. Autodesk’s pledge is valued at over $460 million, and empowers educators at more than 35,000 middle schools, high schools, and higher education institutions in the United States and Canada. “Advances in accessible 3D design and fabrication technology are disrupting design, engineering and entertainment professions as we know them. The rise in mobile and cloud technology also means that it is possible to design anywhere, at any time. Nearly anyone with an idea can turn concepts into reality overnight, and we believe that today’s students will shape tomorrow’s industries,” said Tom Joseph, senior director of education, Autodesk. “This is the second pledge we have made in North America in less than six months, and we are not stopping here. There is still work that lies ahead of us as we join forces with governments, institutions, and partners to prepare an industry-ready workforce around the world by removing the barriers to software access,” Joseph added. Building proficiency with young learners from middle schools and up to support science, technology, engineering, digital arts, or mathematics (STEAM) related subjects to solve real world challenges. Imparting industry-relevant knowledge and 3D design skills to give students a competitive edge to achieve their personal goals today, and career success in the future. Helping educators to inspire creativity and innovation through a project-based curriculum and a multidisciplinary approach to education; facilitating collaboration and hands-on problem-solving skills that reflect today’s business realities. “At RIT, we are grooming our students for successful careers in industrial design, and teaching them to leverage advanced technologies to address global design challenges is integral. Having free access to advanced, professional design tools like Autodesk Fusion 360™ has empowered our students and taught them how to navigate changes in a fast paced industry. The cloud component of the product also teaches them how to collaborate with one another and communicate their ideas with other disciplines, which are critical skills that they will need when they graduate,” said Alex Lobos, assistant professor of Industrial Design, Rochester Institute of Technology. In February, Autodesk pledged support for President Obama’s ConnectEd initiative by expanding its Design the Future program in the U.S. to advance STEAM education and support the demand for related careers. Students and educators have also had free access to individual licenses of Autodesk software via the Autodesk Education Community since 2006. “We have seen firsthand how students have become more engaged in core subjects like math and science when they can experiment, model and animate in 3D with Autodesk® 123D® Design and Autodesk® Maya®. The new focus of the national Common Core and Next Generation Science Standards are based on getting our students both college and career ready. By teaching them skills like 3D modeling and 3D animation using professional Autodesk products, we are giving both students and educators a real advantage," said Kent Ganevsky, an educator at Theodore Roosevelt Middle School and Design the Future program adopter. To request free access to Autodesk software for schools, please visit www.autodesk.com/academic. Autodesk, Fusion 360, 123D, and Maya are registered trademarks of Autodesk, Inc., and/or its subsidiaries and/or affiliates in the USA and/or other countries. All other brand names, product names or trademarks belong to their respective holders. Autodesk reserves the right to alter product and services offerings, and specifications and pricing at any time without notice, and is not responsible for typographical or graphical errors that may appear in this document. I was one of the first Autodesk 3D Studio Max dealers in the world about 20 years ago. There were a group of three of us who either flu or drove up to Sausalito California to go through training and becoming authorized dealer. 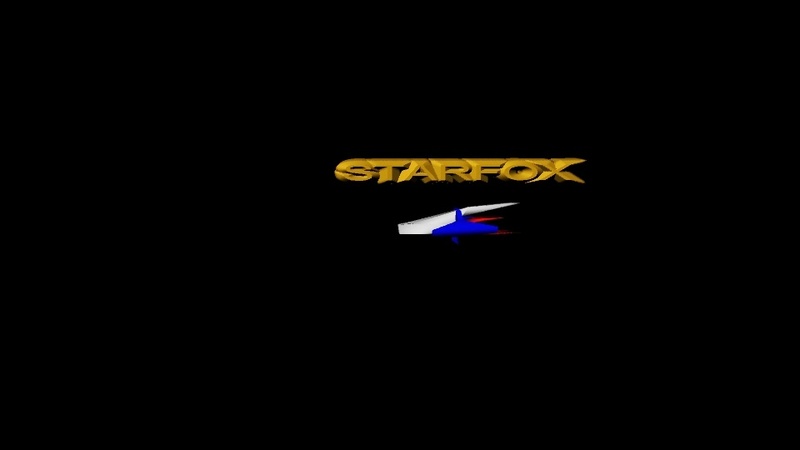 It was a pivotal part of my life for it put me in the direction into computer graphics and digital editing. I started my teaching career about 10 years ago. And for the last for five years I've been trying to bring this product's into my classroom and into my school. 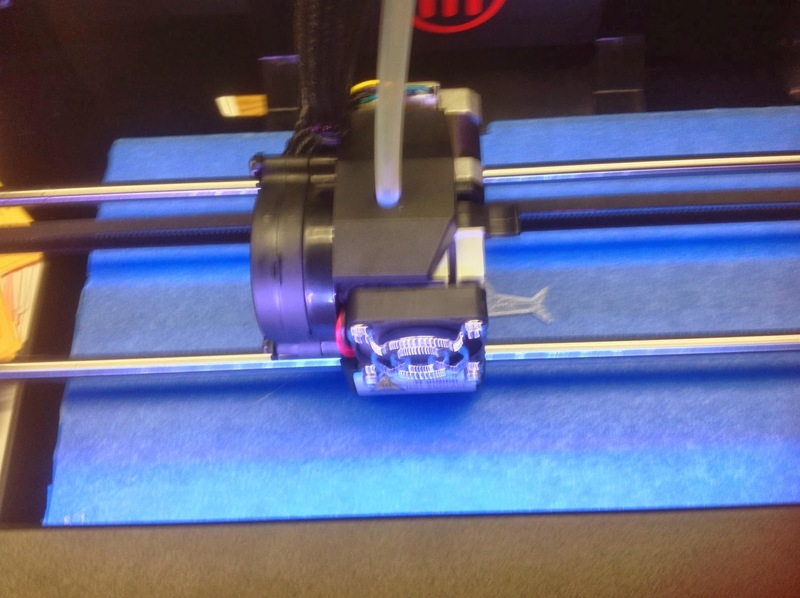 We now have our Maker bot replicator to printer going and we have printed over 40 students designs in our classroom. The key to teaching your students Autodesk Maya is to start an early age as possible for them to acquire the basics. Do not get hung up on how hard the product looks or how hard the interface appears to be. Just like math we do not start students at calculus, it takes them five years and five different subjects to get to calculus. That is the same philosophy to teach Maya or any other high-end computer graphics software package. And I guarantee you since I have doing this for almost 30 years younger students will pick up this package much faster than any adults will. 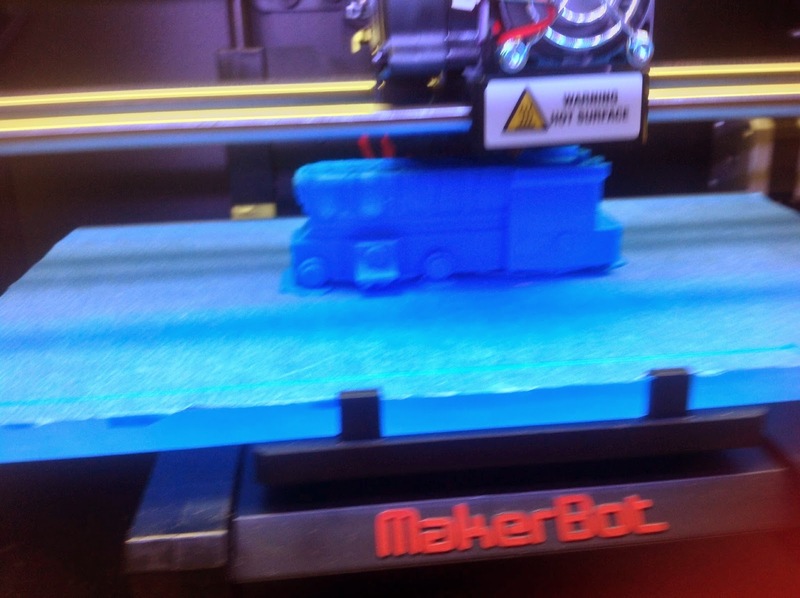 We have got our new Makerbot 3D printer up and running like a champ. 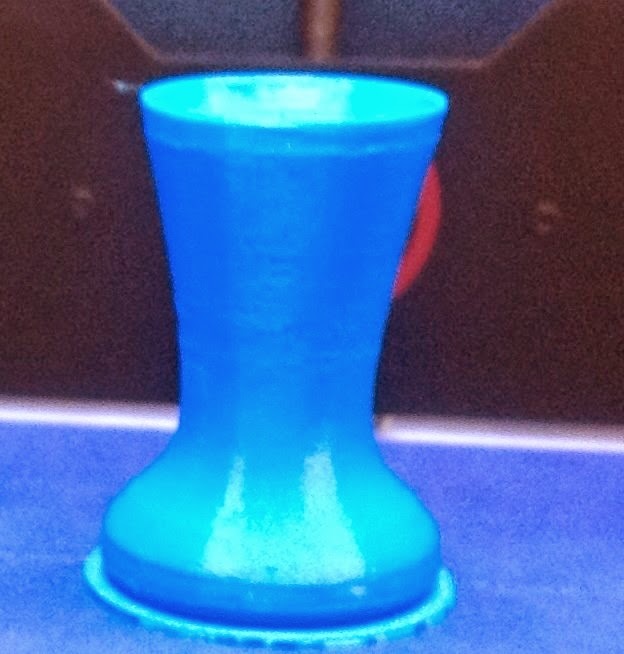 The picture is of model of the 3D vase which could hold flowers or be used as a drinking cup. It was created by A eighth grade student. We are going to start with Autodesk Inventor soon because I want my students to start using mathematical calculations in the models they design. This will start them to acquire the skills they need for career and 3D modeling and design. That is my interpretation of the new focus on common core. The focus is on college and career ready. Teach my students specific skills they can then be applied to the workplace. I have a Masters degree in business from USC and over 30 years in private industry experience I intend to apply that to my teaching to get my students ready for the career marketplace. I have over 20 years experience selling 3D animation hardware and software. I'm going to apply that to my teaching for my new Digital Arts program. Next year I intend to hit the ground running with my new program. We are going to start with Autodesk 123Dapp, Inventor and then working our way up to Maya. We will be working on 3D animation, 3D modeling and then on to computer programming. These are examples of what my students have done using other does one to 3D design. They virtually taught themselves how to use this software package and the laptops we used only had two gigs of RAM and we're not really built for 3D applications. Plus often they had to wait for school systems network to allow them to access the images they had on the cloud. Yet they were able to create some really incredible 3-D models. The thing about the younger generation is they are not intimidated or get frustrated by using computers to to create things. They have been using computers, cell phones etc. since a very young age and so they can easily adapt to any program there given. We are now going to print these models on our makerbot 3D printer. 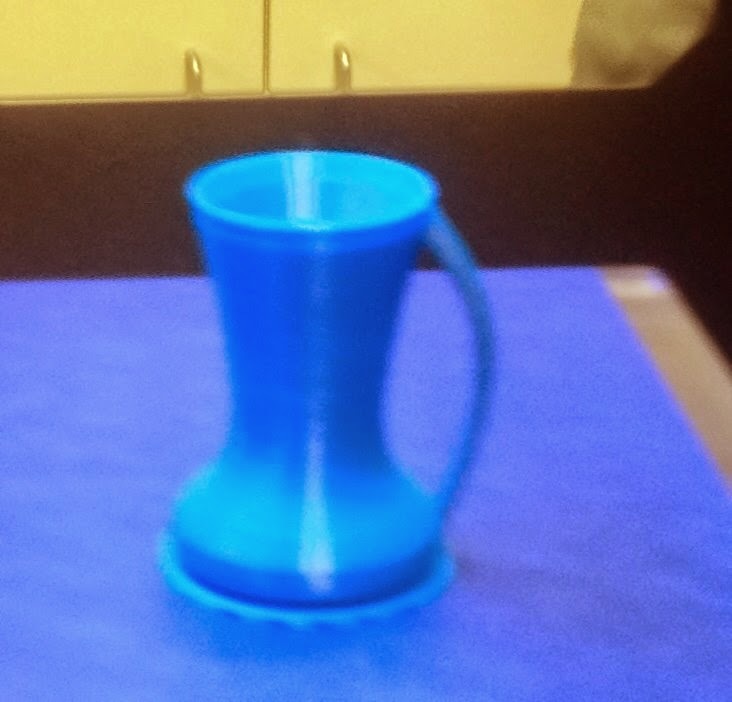 This was an application we did not have we started using one to 3-D design at the start of the school year. With this application hasn't created some incredible desire to learn how to use the 3-D modeling with any of the Autodesk software packages we are now using. This will allow me to now incorporate higher and 3D packages such as Autodesk Maya into my classroom for the interest is already been generated by using the one to 3-D applications. I want to incorporate STEAM into all of my classes and also use common core applications to get my students college ready and job ready. 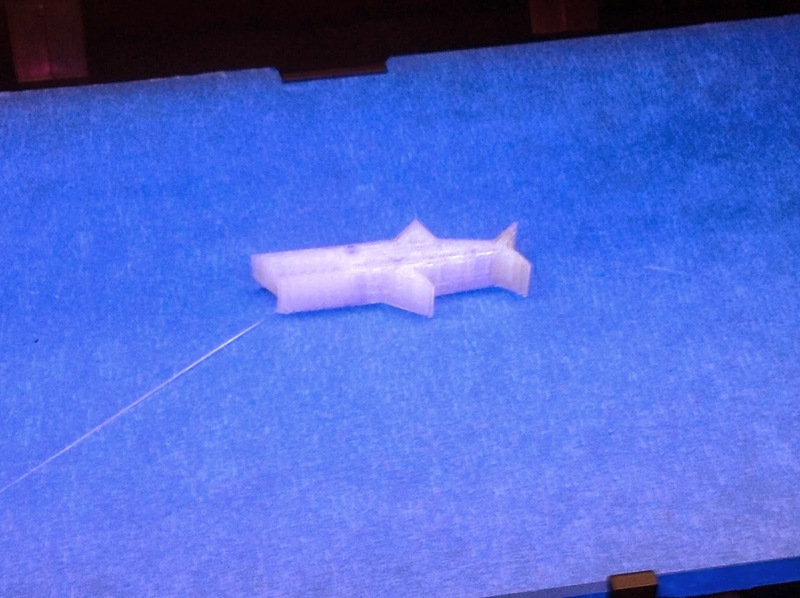 This is just one example of the many uses for the new 3D printers. The applications for these 3D printers is endless. Anything that can be designed on the computer using the CAD or 3D modeling programs can now be printed on one of these printers at a fraction of the cost of traditional machine shop printers. I know in my seventh grade classroom this coming week we will be using Autodesk software to start our modeling skills. We have actually had success and printing our 3D models from autodesk 123Ddesign from the school year on our new Makerbot 3D printer. We will continue to print those models for the next 2-3 weeks and then make a major effort to go into Maya and start to design and print 3D models. 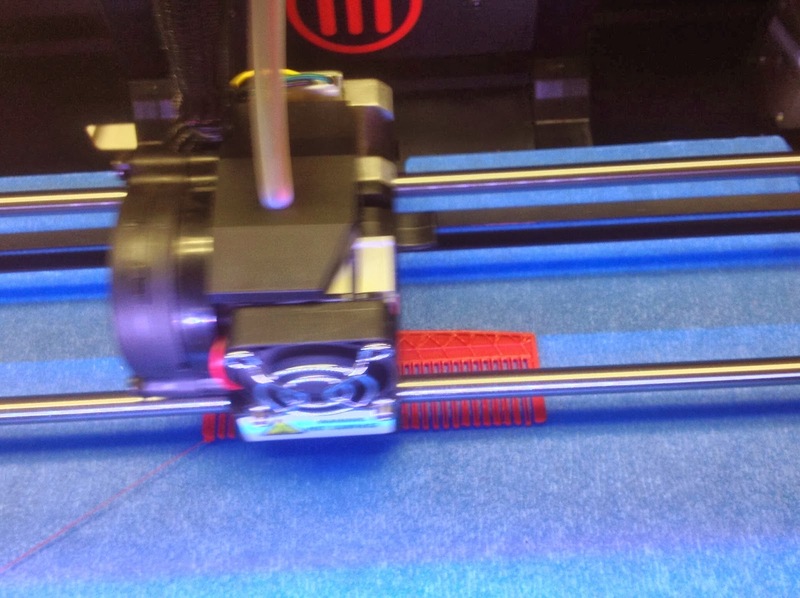 As you will read in the link to the article below these 3D printers can do amazing things to help a wide variety of occupations do their jobs that much better. Check out this female portrait, created by Korean artist Minjeong Shin (aka Migon) using Maya and rendered with V-Ray. Minjeong has been working with 3D since 2010, modeling 3D characters for an animated short. She is now a freelance artist and has created this image for an online learning resource. Last week, the 3D community was shaken to learn that Autodesk will discontinue Softimage, one of its many 3D software packages. The last release, Softimage 2015, is due to ship in April, and Autodesk will support the software to subscription customers only until 30 April 2016. 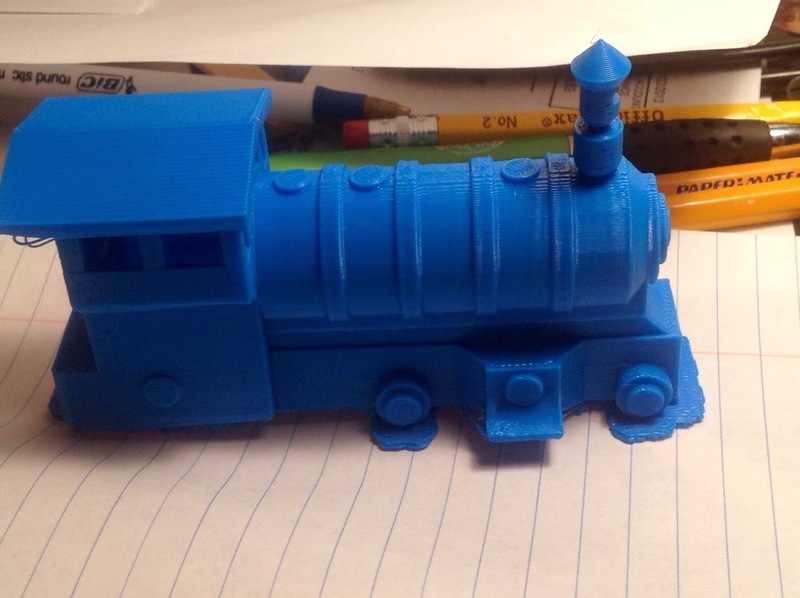 Finished train engine - 2 1/2 hours - 7th grader - look at the detail and design printed. We are going to start selling these in our class. And see what my students can do They all now want to design and make different 3D models and everyone is super excited. Bio: I have been teaching math and now a computer science class for 10 years. I taught Algebra, Geometry at the high school in the Hart District for two years. I then came to Roosevelt five years ago and taught 8th grade Intro to Algebra, and for the last two years I have taught 7th grade math. 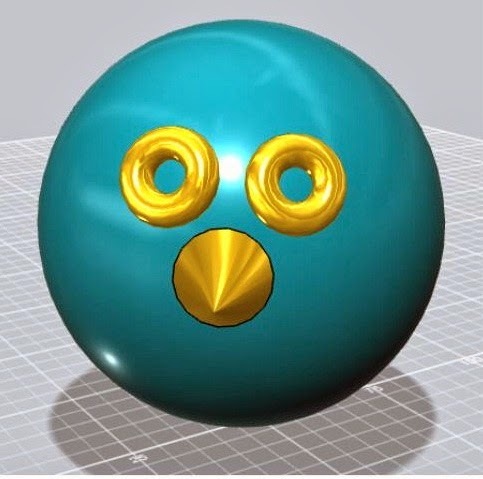 I now teach a class and run the new Computer Science club at Roosevelt Middle School and we will now be using our math skills to create 3D animations and 3D models with our new 3D printer,. We will put our works up on my website for the studios to see.k. Our goal is to get our scrub members to challenge themselves, to strive to improve, and to start on a path to a successful career in computer science. I have a BA in Business Management from the University of Idaho, and a MBA from USC in finance and statistics. I worked in the corporate world for 10 years as a telecommunications manager ( AT@T and Transamerica). I then started and ran my own business for 20 years selling 3D animation software and hardware from Autodesk, nonlinear digital editing systems, and also building and managing websites. I believe that hard work and constant improvement leads to success in math. I do not care at what level of math a student enters my class, but I do care about what level they leave at. I expect to see improvement each day. Every student can be successful at math if they push themselves and practice. Some will simply require more time to succeed. Well we printed some 3D Models this morning after setting up the printer yesterday. 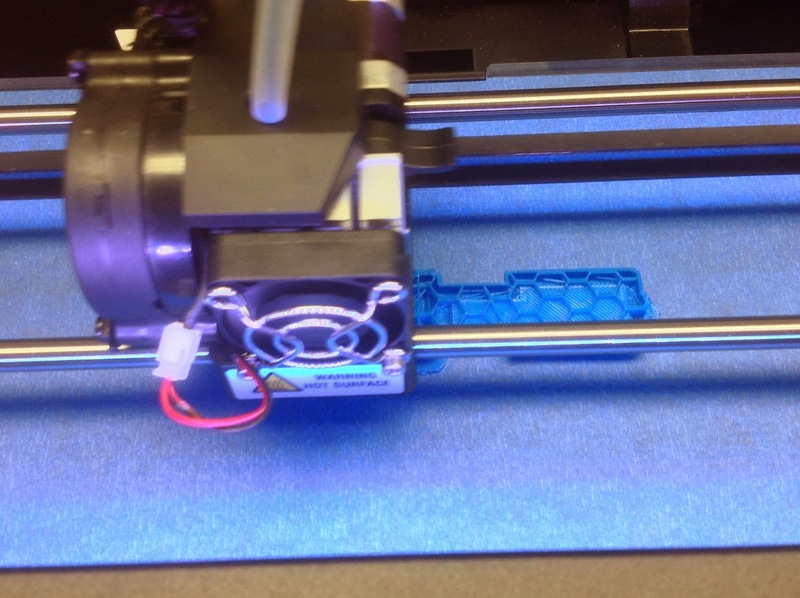 It took us about 30 minutes to setup and to get the printing plate and nozzle calibrated. Our first try we were to high with our nozzle. 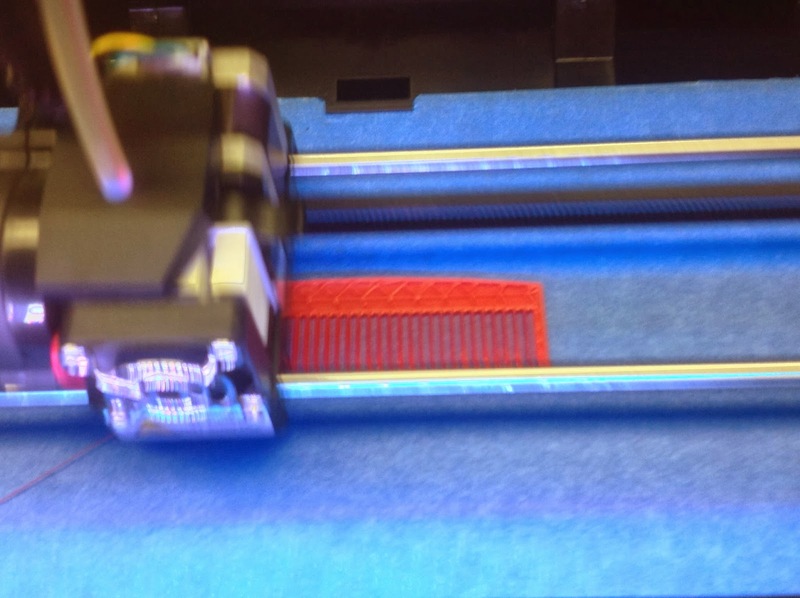 Then we tried the 3D printer to print a 3D comb. 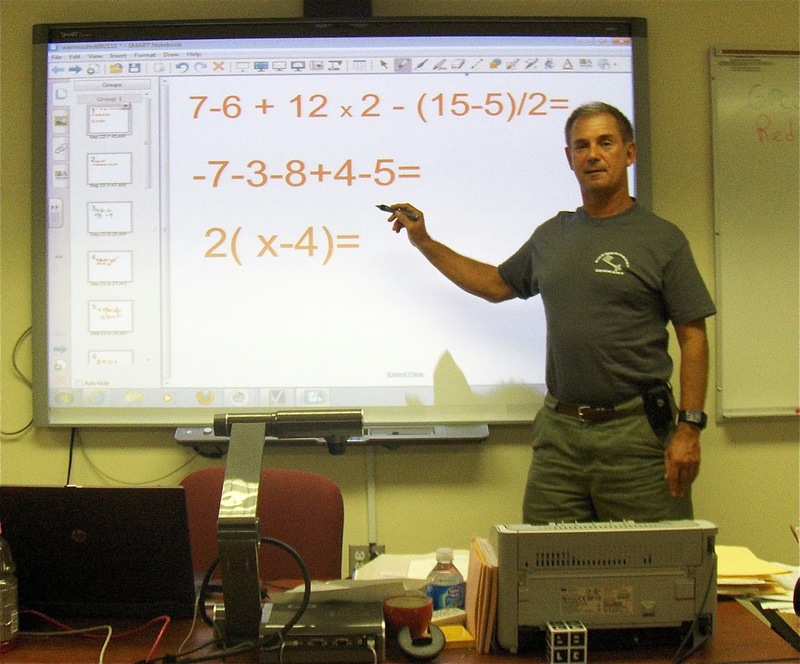 I have used my smartboard for teaching 7th grade math for the last three years. I make it a part of all of my lesson plans. I call on my students to come up and solve problems on the board and go step by step to do so. This enables both the students and I to see if they can do the problems we are working on. They all love coming up to the smart board to do the problems and even though I use a seating chart to call on students they are always raising their hands to come and solve problems on the smart board. I have all of my lessons done before each class we simply go from screen to screen. I can bring in images, capture screens from the internet, and use the document scanner to scan in images from any book I want. They are a variety of tools to use to hide part of the screen, highlight parts of it, and to use a wide variety of images and interactive games that it comes with. So I would recommend that all teachers or instructors in any field look to use a smartboard in their classes for it will definitely enhance their teaching.